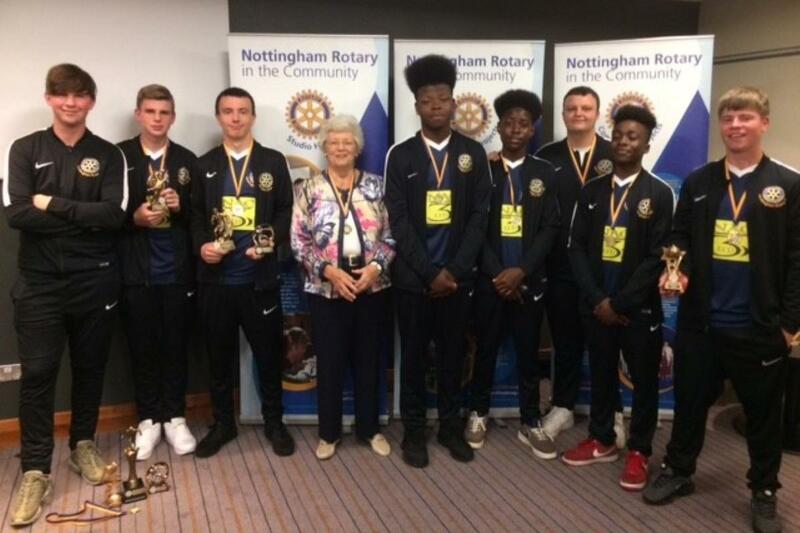 Nottingham Rotary Club Football Team held their awards night at the club this week. The club with the unusual name started life when Jake Spencer, the son of Rotarian Chris couldn't find a Five-a-Side team with a spare place and decided to start their own club. Three years later the club has worked its way up from Division Eight to Division One, has its own part-time professional coach and is a regular winner in the Nottingham Five-a-Side Power league. At the ceremony Club President Paul Jones handed out the awards which included Most Improved Player, Jake Hurst; Best Goalie, Josh Best, and the Referee's Award, Jake Spencer and Jack Walls. Pictured is the team in their new kit sponsored by local construction company NAC3 with Rotarian Shirley Mee who sponsored the evening.